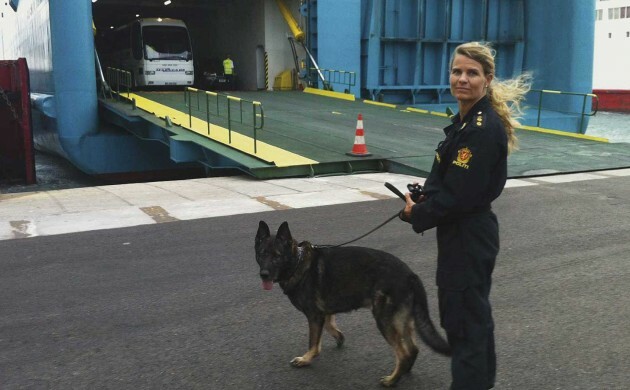 In this timely film from Norwegian broadcaster NRK, we learn that policemen and women from all over Europe (including some non-member states) are employed and posted along this continent’s external borders to enforce EU policy on waves of immigrants. They are employed by an EU agency called Frontex. Although essentially investigative journalism, this film manages to transcend that label as it chose to focus on the emotional journeys of two sets of new Frontex employees: a perky pair of Norwegian police officers who are going to inspect vehicles for stowaways as they enter Spain; and a cocksure Norwegian middle-aged man who is going to work among African asylum claimants. The latter’s journey is the most profound as his MO is to discover the routes by which immigrants have made it to the European mainland, ultimately with the aim of closing down these routes – however, when he speaks to the claimants, he does so under an ambiguous guise, allowing them to think of him as someone who is there to help their status. As he listens to one teenage Somalian boy’s story, and that relationship develops, his initial resolve to put aside the ‘human perspective’ is shaken. These stories are intercut, contrasting brutally with cold debate in the European Parliament from politicians who are very far away from the reality on the ground. There is also a crucial third strand, following a young female activist who travels to the Spanish exclave Melilla, which is on the African mainland and inundated with economic immigrants and refugees. Its borders are enforced with cruel brutality and she finds shocking evidence of this in the woods where many of the illegals are gathered. This is a profoundly moving reminder that there is a life story behind every statistic – and that thankfully, seldom does a sincere meeting of men not result in some empathy and understanding.